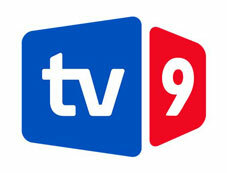 TV 9 and Info 9, the Tbilisi-based television and news agency, will be closed down on September 1, sixteen months after it was launched. Both media belong to Prime Minister Bidzina Ivanishvili’s family. Ivanishvili cited upcoming presidential election as the reason behind his decision. He believes that the Georgian Dream (GD) presidential candidate, Giorgi Margvelashvili, will win without any informational support. Ivanishvili released an official statement about his decision. “I always believed and believe now that leaders of a country must not own televisions despite the fact that legislation does not restrict it. For me personally and for my family this is very uncomfortable, as I have many times stated,” said the PM. He also said that they tried to sell the TV channel after parliamentary elections in October, but they lost even the last potential buyer. Starting from 19 August until 1 September the PM’s family will do their best to sell these media outlets. According to Luba Eliashvili, General Director of TV 9, buyers have already appeared. However, if a deal is not reached with a buyer by September 1, they will be forced to close down both media outlets. Despite the fact that legislation does not provide compensation for staff in the case of liquidation of the organization, Ivanishvili and his family have decided to pay all the employees compensation equal to 2 month's salary. The news about the sudden close down of the TV channel and the agency was shocking for employees. The staff of Info 9 keeps on reporting, but the staff of TV 9 stopped broadcasting after the August 19 Prime Time news. Commenting on the closure of the media, President Mikheil Saakashvili said the more media outlets the better because society will have an opportunity to choose the right news by comparing various false information. The head of the International Society of Fair Elections and Democracy (ISFED), Nino Lomjaria said that this fact is very heartbreaking. She said although TV 9 belongs to the PM’s family, it would be better to keep the channel. She said the activities of TV 9 did not point to their impartiality; on the contrary, their existence would be better for media environment in country. A group of citizens addressed the PM with the offer to sell the TV company. United under the social network, they expressed their respect towards Ivanishvili’s decision to refuse from owning the medium as a step forward for democracy. However, they worried that the media space would leave the staff jobless. In order to avoid polarization of the TV channel under the new ownership as it usually happens in Georgia, the group of citizens said they want to establish a joint stock company and buy TV 9. “Thus the journalists would continue working at an independent channel,” they explained. The TV station with the same name was founded and funded by Ivanishvili until April of 2004 when the latter unexpectedly closed it down. After going into politics, Ivanishvili said that his decision to shut down his television station after the Rose Revolution was his mistake.